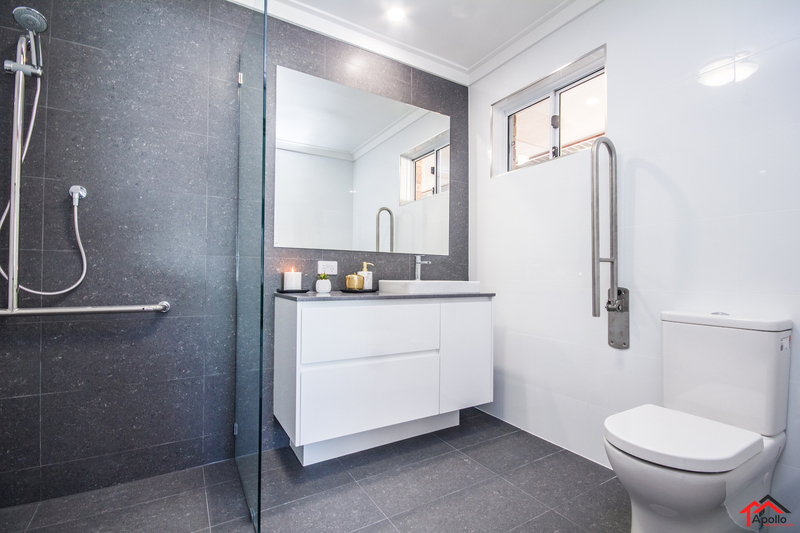 Our clients for this project required a new bedroom and accessible bathroom for their elderly mother so they are able to care for her at all times. 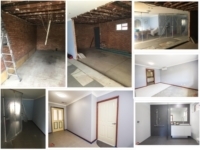 Because the existing property already had a carport on the side of the garage, and the proposed conversion complied with zoning requirements, we were able to proceed with the conversion. 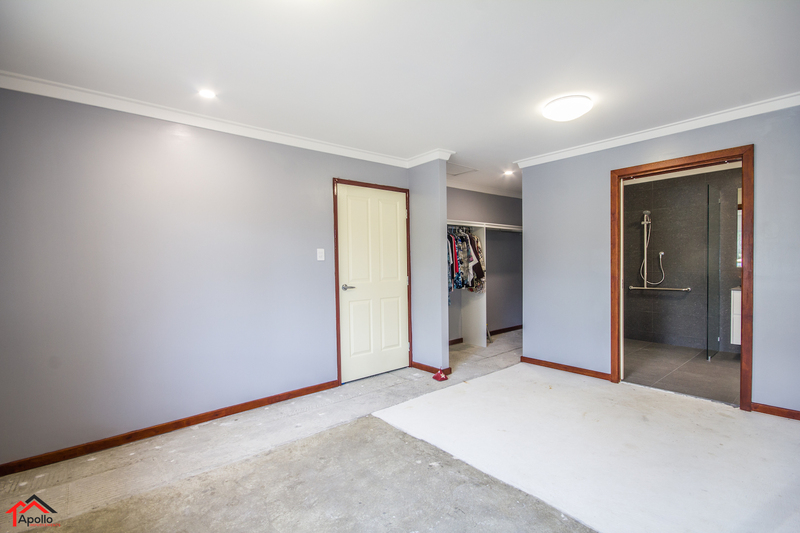 Converting a garage into a habitable space isn’t as simple as just enclosing the garage door and cutting in a door way. The external walls of the garage must be altered to avoid any water ingress into the building (Garage walls are constructed minus a cavity. The cavity is vital in masonry verneer construction to allow any moisture penetrating from the outside skin to the inside skin to have access to an air gap to help to dry out the moisture before it reaches the internal skin, and also drain back outside via specifically placed weepers). The FFL of the garage must be a minimum of 50mm above the existing concrete driveway leading to the internal garage area, so we had to raise the floor level from the existing -1c to be the same height as the existing FFL of the rest of the residence. An important note when converting a non habitable room to a habitable room is the required ceiling height of 2.4m. Because the garage ceiling height was the same height as the existing residence we did not require any structural changes to ceiling framing, other than installing an LVL over the 4m of wall we removed to expand the bedroom area, which took the existing hanging beams, strutting beams, and ceiling joists. 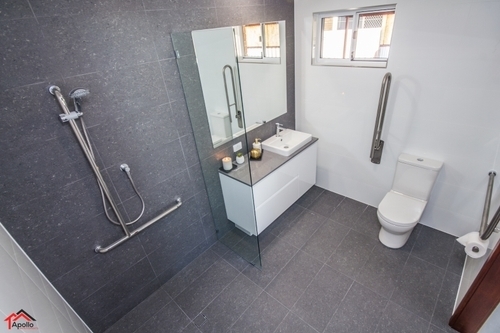 When it comes to creating an accessible bathroom, there a some important considerations that need to be taken into account. Firstly, the minimum clear opening of a doorway on a continuous accessible path of travel shall be 850 mm when measured from the face of the opened door to the door stop. Taking into consideration the typical 19-22mm thickness of the door stop, achieving this opening with a 870mm door isn’t possible, so a 920mm door is required. 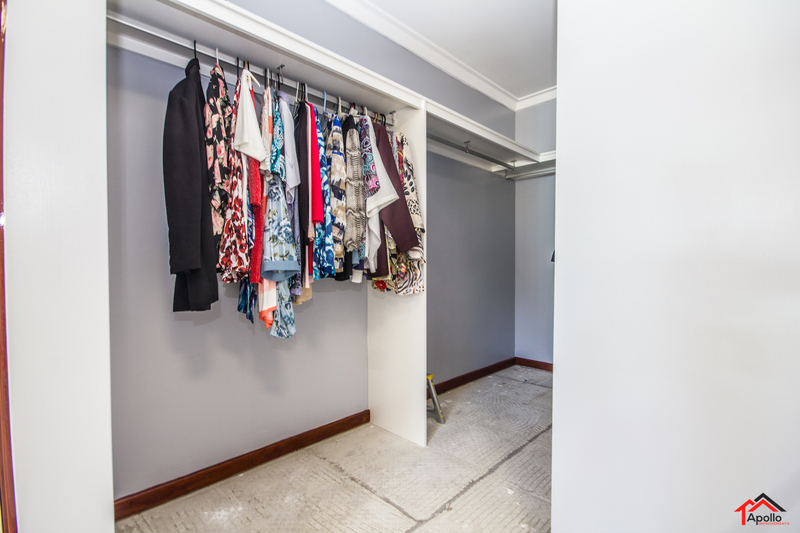 We installed a 920mm hinged door leading from the from hallway to the new garage conversion, and a flush jamb cavity slider unit into the new ensuite. Also visible are the Con-Serv range grab rails, shower system and fold up toilet grab rail. Con-serv are our brand of choice due to their Hygenic Seal wall penetration sealing gaskets, preventing any unwanted water to penetrate behind the tiles. 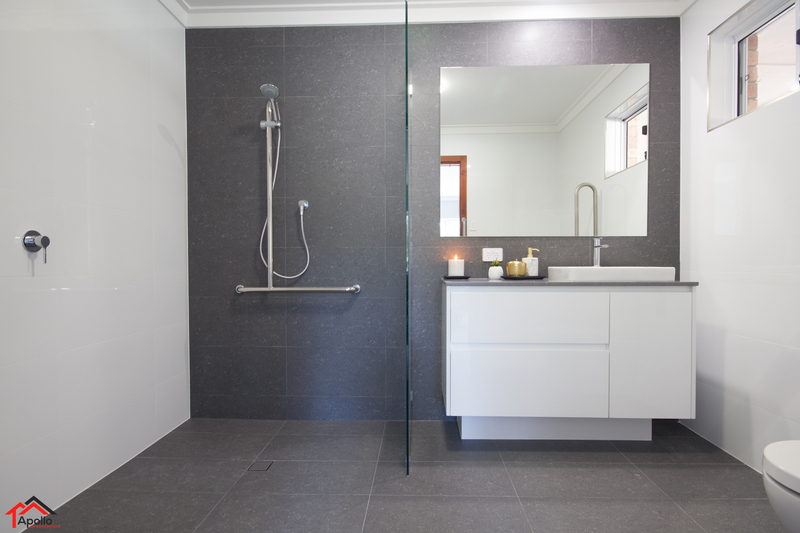 Porcelain Matt finish tiles were used on the floor and feature wall, with an R12 Slip resistance (Minimum R10 Slip resistance rating for Wet areas required), and gloss white ceramic tiles on the remaining 3 walls.